I went to the markets one sunny Sunday morning and came across this Radiola speaker cabinet built January 18, 1921. Originally the speaker was covered in a tight weave gold cloth. It is a completely empty case which would have housed two very large speakers back to back and used outside. Part of a radio. Anyway I thought what a perfect bluetooth speaker it would make. 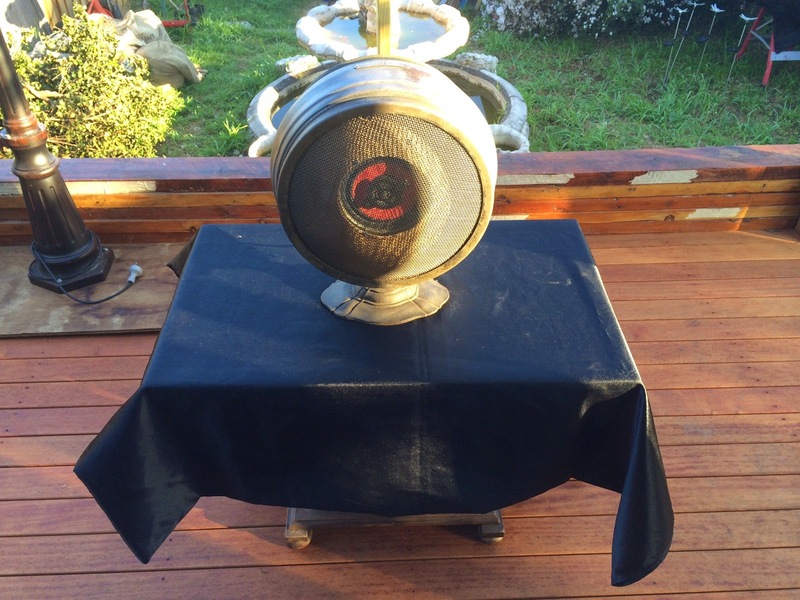 It stands 42cm high and the speaker enclosure is 35cm in diameter……this thing is BIG! So I bought a cheap blue tooth speaker from K-Mart and dismantled it. I took a 25 watt amplifier (which I had on hand) and output the bluetooth speaker into the amp. I had also picked up some cheap car speakers (15 watt each – $5 AUD for both) and connected them to the amp output. 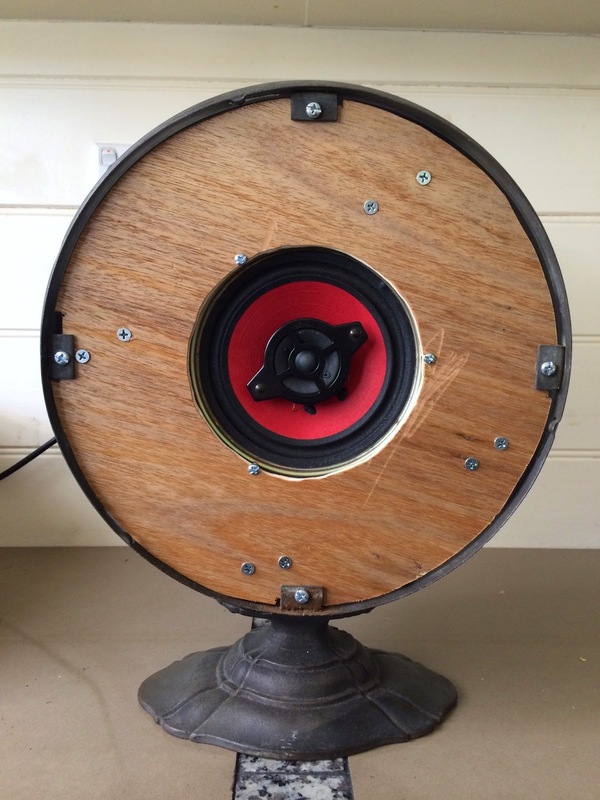 Once all was set up I pulled out my iPhone turned on the bluetooth, found the speaker and logged on…well….to say this thing is loud is an understatement, it was ear shatteringly beautiful…a party machine at heart. My next step is to ‘beautify’ the cabinet. I’ll keep you posted.